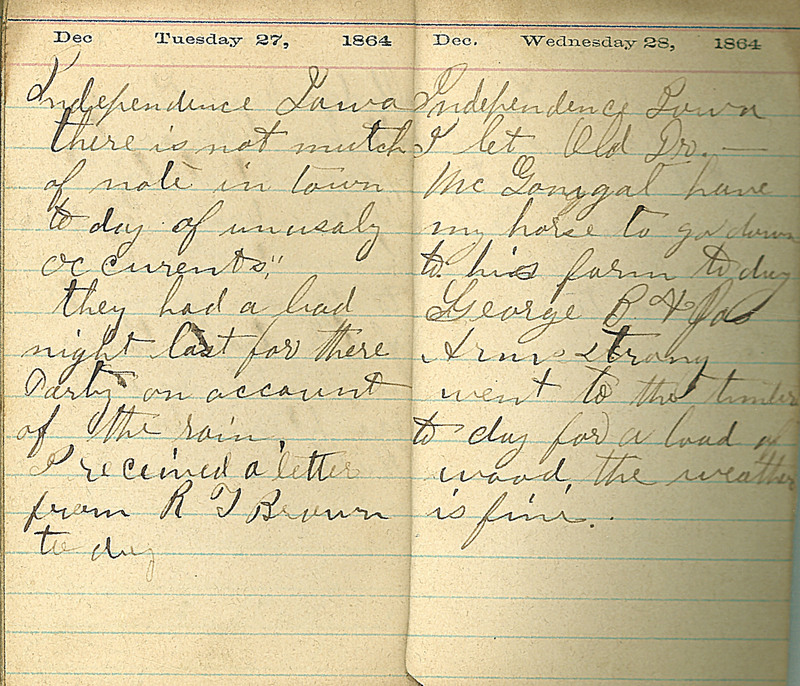 Dec Tuesday 27, 1864 Independence Iowa there is not mutch of note in town to day of unusaly occurents," they had a bad night last for there Party an account of the rain, I received a letter from R J Brown to day Dec. Wednesday 28, 1864 Independence Iowa I let Old Dr. [McGonigal?] have my horse to go down to his farm to day. George B & Jas Armstrong went to the timber to day for a load of wood, the weather is fine.